We now have a virtual tour online of our Bluebell Log Cabin, you can move from room to room by pressing the green hotspots and look around by clicking and dragging the screen. Hi.. Could you give me a price for 1/2 nights please. Weekday and weekend price. 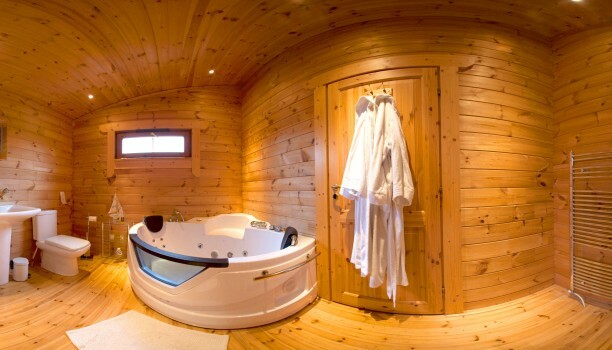 New Fern Lodge at Forest View Retreat Holiday Log Cabins U.K.
Beautiful Self Catering Forest Cabin Holidays With Private Hot Tubs Exclusively For Adults, Overlooking The Wyre Forest in Worcestershire. Exceptional Quality at an Affordable Price! Forest View Retreat now offers you peace of mind with booking protection insurance which will be offered as an extra to your booking. We recommend this is taken out to protect yourselves against unforeseen circumstances.